Being a food blogger is something I see quite often anymore. Tasty creations all over the web, waiting for us to make and enjoy! I thought it would be nice to showcase some sites where you can list your recipes you created, to drive traffic, getting the word out about your site, and more. Now some sites they have standards on what pictures they accept, I tried for over a year to get accepted to Food Gawker and I finally did, so don’t be discouraged if you are told no! Try try and try again! So let’s get started shall we.. 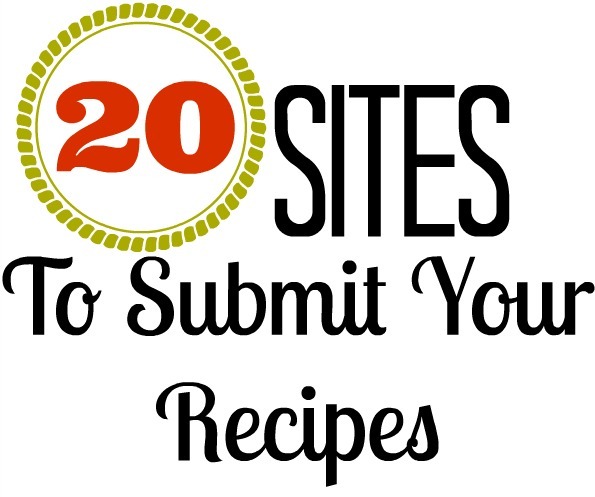 Here are 20 sites where to submit your recipes. 1. Food Gawker: This is a great site to join up. I will say it is pretty hard to get accepted like I had said earlier but it is one of the prime places. I know so many bloggers when they get a yes to an accepted recipe they take it as a huge compliment and it is an honor! At least that is what I think and some other bloggers! 2. TasteStopping: They run things a little differently than other food photography sites. Our moderation process is simple: if your photo of food or a food-related subject has been rejected, declined or otherwise spurned by one of the myriad “elite” sites out there (ahem…TasteSpotting, FoodGawker …ahem), send it to us. We’ll publish it! So, as you can see, there’s really nothing to it. 3. Food Spreading: Tons of categories to submit your recipes! 4. Tasty Kitchen: Okay this one is really cool because they partnered with The Pioneer Woman! I love watching her, and reading her blog, she is plain awesome! You can submit recipes! Pretty neat site. 5. Tasteologie: This looks like a neat site, very easy to submit a recipe to be on their site. 6. Recipe Graze: Another great site to feature recipes on. It has a really nice layout, very user-friendly. 7. DelishBook: They only accept recipes that are on blogs.They accept or decline recipes. 8. Cucumbertown: This looks like a fairly new site, but looks like it has great traffic. 9. Dessert Stalking: Here is a site that is geared toward anything sweet! This is a site where I could gain 10 pounds just looking at it. 10. Tasty Days: This is a bit different then a regular site. You submit your site and they will pull the recipes off themselves, which is kind of nice. Will save you time on not having to go to the site and submit each recipe. You have to have an RSS feed. 11. Finding Vegan: This is a site driven toward vegan friendly recipes, which is pretty neat. This is a great way to get your site featured. Vegan recipes are very popular! 12. FoodEpix: Another great site to submit your recipes. They will decline or accept your recipes. 13. Bakeolicious: As you can probably tell from the name it is driven for sweet desserts. 14. KitchenArtistry: This is similar to the other sites listed above. You submit and wait to see if you get approved. 15. Chowstalker: This is driven toward Paleo Inspired Recipes! 16. Grub Snapper: Man their are some good looking recipes featured on the site. Looks like a great site to feature your recipes! 17. Knapkins: This is a different site. You can submit recipes and then on the main page it shows two different recipes and people can vote at which looks yummier. 18. Healthy Aperture: They take nice quality recipes that have good pictures to feature on their site. Looks to have quite a bit of traffic. 19. Dishfolio: Same as most other sites I have been talking about. 20. Yum Google: This is a neat looking site. Sign in and submit your blog recipes. Since I created this, I decided to add some more sites in case you were interested! 21. Fridgg: This site you can submit your recipes, they don’t have to be approved, very easy to use! Site is very user-friendly. 22. Yummly: I was told about this by another blogger. Looks like a great site, and tons of categories available. I am going to bookmark this. I have not had luck with Food Gawker yet, but I might try some of the others. It was about a year before I finally got accepted to Food Gawker. . but I still get rejected at times. It is a tough one for sure. These are great places to submit recipes. But also a great place to fin new food ideas! I hadn’t heard of a lot of these sites. I’m not a food blogger, but now I definitely know where I can go to get some good recipe ideas. Congrats on getting accepted to Food Gawker! Great list here. I have never listed my recipes but I should! Thanks for the info! I primarily use Yummly, but Knapkins sounds like it could be fun to discover some new recipes too. Thanks for the great roundups! Thanks for this list! I use a lot of those, but found some new ones!! There are some sites on this list that I hadn’t even heard of before – thanks!! Thanks for the great list! It’s always so nice to find something like this, rather than tracking everything down across the ginormous maze that is the web. What a great list! Thanks for giving us a brief run down of what they’re focused on as well. Very helpful! I love this list. 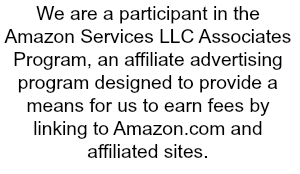 Thanks so much for including a short description of what the sites are geared towards. You’re awesome! This is a great list, and it’s super convenient. Thanks for taking the time to make it! I didn’t know about these sites. I have tons of recipes too. Love Foodgawker, and have a gallery going there. Some of these I had no idea of! I am bookmarking this too! I don’t think any of them would really want my recipes, but now I know where to look. I like how you included the details of the sites. sweet. this is fabulous! we have a lot of vegan recipes on my site! great List. I am putting it on my bookmarks bar right now. What a fantastic resource for bloggers. Thank you for sharing this great list with your readers. You rock! Now to find the time…. would you believe I have never submitted a recipe anywhere? Oh goodness……I’d only heard of FoodGawker! What a great resource….off to check them out! I love to look at these sites! I have never submitted my own stuff though! Very cool list! Pinning this I so need more traffic for my recipes. Thank you for sharing these, I did not realize there were so many. What a great list you have put together. I only know of a few of these. Thank you! Awesome list to submit recipes to, will come in handy.